Users can sign up through their iPhone and get access to the card in minutes when it becomes available in the U.S. this summer, according to the tech giant’s Monday presentation. The new card hinges on Apple Pay, the company’s mobile payment and digital wallet service, which has made inroads in merchant acceptance since its inception in 2014. The Apple Card pays 2 percent in cash back on Apple Pay transactions, 3 percent on direct Apple purchases, and 1 percent on purchases with the physical card. The rewards will be available on a daily basis, according to Apple executive Jennifer Bailey. Source: Apple Apple Cash unveiled at the Apple Spring event on March 25th, 2019. The card, which lets users manage spending and rewards through the iPhone’s Wallet app, was set to be tested by employees of both companies, a person with knowledge of the situation said last month. David Paul Morris | Bloomberg | Getty Images Jennifer Bailey, vice president at Apple Inc., speaks during an event at the Steve Jobs Theater in Cupertino, California, U.S., on Monday, March 25, 2019. Greetings, and welcome to the At Home Fourth Quarter Fiscal 2019 Earnings Call. At this time, all participants are in a listen-only mode. A question-and-answer session will follow the formal presentation. I would now like to turn the conference over to your host, Ms. Bethany Perkins, Director of Investor Relations for At Home. Thank you. You may begin. Thank you, Melissa. Good morning everyone and thank you for joining us today for At Home’s fourth quarter and fiscal year 2019 earnings results conference call. Speaking today are Chairman and Chief Executive Officer, Lee Bird; President and Chief Operating Officer, Peter Corsa and Chief Financial Officer, Jeff Knudson. After the team has made their formal remarks, we will open the call to questions. Before we begin, I need to remind you that certain comments made during this call may constitute forward-looking statements and are made pursuant to, and within the meaning of, the Safe Harbor provisions of the Private Securities Litigation Reform Act of 1995. In particular, statements about our outlook and assumptions for financial performance for fiscal years 2020 and 2021 and our long-term growth targets, as well as statements about the markets in which we operate, expected new store openings, real estate strategy, potential growth opportunities, and future capital expenditures are forward-looking statements. Such forward-looking statements are subject to both known and unknown risks and uncertainties that could cause actual results to differ materially from such statements. Those are referred to in At Home’s press release issued today and in filings that At Home makes with the SEC. The forward-looking statements made today are as of the date of this call and At Home does not undertake any obligation to update any forward-looking statements. Finally, the speakers may refer to certain adjusted or non-GAAP financial measures on this call, such as adjusted EBITDA, adjusted operating income, adjusted and pro forma adjusted net income and pro forma adjusted earnings per share, a reconciliation schedule showing the GAAP versus non-GAAP financial measures is available in At Home’s press release issued today. If you do not have a copy of today’s press release, you may obtain one by visiting the Investor Relations page of the website at investor.athome.com. In addition, from time to time, At Home expects to provide certain supplemental materials or presentations for investor reference on the Investor Relations page of its website. Thank you, Bethany. Good morning, everyone. Thank you for joining us to discuss our fourth quarter and fiscal 2019 results. We are pleased with our fourth quarter results that exceeded our top line guidance and met our bottom line outlook, as we continue to better serve customers and invest across the business for the long term. Our sales growth of nearly 21% and comp store increase of 2.1% reflect our continued strong performance at both new and existing markets and the disciplined execution of our team. The fourth quarter marks our 19th consecutive quarter of over 20% sales growth and our 20th consecutive quarter of positive comps. This strong top line growth was accompanied by adjusted operating income growth of 8% and pro forma adjusted EPS of $0.47. Our solid fourth quarter results demonstrate the strength of our highly differentiated value-driven model that continues to resonate with our customers. Looking at the future, we achieved some exciting milestones and notable accomplishments — excuse me, looking at the full year, we achieved some exciting milestones in notable accomplishments. I’d like to take a moment to recognize our team members for their remarkable contributions, including At Home becoming a billion dollar Company, an achievement made possible through top line growth of almost 23% and comp store sales increases of 2.7%. This was our 5th straight year of both positive comp store sales and revenue growth over 20%. We also expanded gross margins 80 basis points and grew adjusted operating income of 21.4%. Couple with tax rate favorability; we drove nearly 44% pro forma adjusted net income growth and delivered pro forma adjusted EPS of $1.30, at the high end of our guidance. I’m also pleased with the progress we made on our strategic initiatives this past year. We added 2.9 million members to our growing Insider Perks program during the year, enabling us to better understand our customers’ needs and shopping preferences through the related analytics. We grew unaided brand awareness significantly in 2019, and we still have an incredible opportunity to introduce our concept to more customers in both new and existing markets. We believe increasing brand awareness is and will continue to be one of the drivers behind our healthy and ever increasing new store productivity. In fact the class of 2019 was our most productive class ever, which gives us increased confidence in our long-term potential for 600 plus stores. We opened 31 net new stores in fiscal 2019 across both new and existing markets and ended the year with a 180 stores, still less than a third of our long-term target. In fiscal 2019, we ramped our direct sourcing penetration from 0% to 10% of purchases. Those direct sourcing and other initiatives, we generated product margin benefits that drove gross margin expansion for the full year. As I’ve discussed before, we put the associated benefits back into the business through price, quality, store level projects and marketing. We also took possession of our second distribution center in Pennsylvania and began implementing improving cross stock set up and automation, as we operated in our Texas-based distribution center. With a new DC, we have total capacity to serve more than 350 stores, approximately twice our current footprint, and we now have a bigger foundation for the At Home business to grow upon. As we turn our attention to fiscal 2020, we look forward to a 6th consecutive year of at least high-teen store growth, low single-digit comps, and high-teens revenue growth. From a full year earnings standpoint, we’re committed to our philosophy on reinvestment and delivering on our long-term algorithm over a multi-year period. We feel confident in our new store pipeline, our marketing effectiveness and our merchandising initiatives, and we remain focused on delivering against our strategic priorities. As a reminder, these key initiatives center around the customer, the At Home brand, our assortment and store experience, store growth, and of course our team. 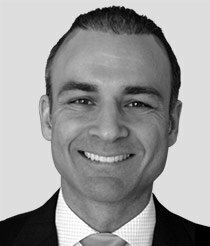 Peter Corsa, our newly promoted President and Chief Operating Officer, will take you through our initiatives of operational efficiency. Our number one priority is always our customer. In fiscal 2019, we gathered valuable insights and are extremely pleased with the traction of our credit card and loyalty programs. While still early, we are encouraged by our initial learnings and the higher average tickets associated with both the credit card and Insider Perks. With 4.3 million Insider Perks members today, we’re gaining critical mass. In fiscal 2019, we rolled out digital receipts with customer satisfaction scoring, product recommendations on our website, and a more targeted messaging triggered by customer preferences. In fiscal 2020, we will continue expand enrollment as we test and refine our customer engagement strategy to determine the most effective approach to continuing to add customer value. As part of our reinvestment strategy, in fiscal 2019, we increased our marketing dollars 44% to 3.1% of sales, up from 2.7% in the year before. We are very pleased with the returns we’re seeing from this investment. Incremental marketing spend has driven higher traffic in allocated markets and we generated notable increases in both aided and unaided brand awareness year-over-year. The number of customers engaging with us through email has increased more than 50% and unique website visitors were up nearly 40% versus fiscal 2018. Given these compelling results, the opportunity to significantly expand our brand awareness and the reinvestment capability afforded by our highly profitable model, we will continue to ramp our investment to marketing and advertising in fiscal 2020. Under our marketing umbrella, we are increasing media and direct-mail spend by more than 50% and we plan to leverage both digital and traditional channels to highlight what we consider our category killers. This month we — this month, we launched an exciting new marketing campaign called the Perfect One, which gives our customer confidence that with At Home selection and value, you will find the perfect product at the perfect price. In terms of our Spring LookBook, we plan to reach significantly more households year-over-year and highlight our seasonal patio and garden offerings, as well as our category killers in the everyday assortment. Speaking of our assortment, we continue to focus on providing our customers with simple yet unique and — unique in store proposition, which is the bright — broadest variety of inspiring products at the best value and an enjoyable self-help environment. Our expansive assortment and style coverage allows us to be nimble and responsive to our customers’ trends and preferences. We continue to see strength in our modern and country offerings, as well as our category reinventions that well exceed chain average comp in the fourth quarter. I’m also very pleased with the discipline of our visual merchandising efforts; endcaps, feature tables and vignettes drove an outsized customer response in Q4. For the full year, we saw broad strength across nearly all of our categories and we are especially pleased with the performance of our everyday categories. Category killer like lamps and shades, baskets, bars tools and throw pillows continued to deliver above average performance. In fiscal 2020, we’re particularly excited about reinventions in areas like home organization, frames, everyday greenery and dinnerware. Additional reinventions in window coverings, which were designed to ease the customer shopping experience in a larger and expansive lighting assortment and improvements in visual merchandising and merchant processes should also drive growth over time. From a seasonal standpoint, we’re introducing the new mix and match patio furniture versus the previous sets, as well as new and improved umbrellas, patio cushions, and throw pillows. Above all, this year’s reinventions are an example of our continued emphasis on elevating quality at competitive price points. Next, we’re focused on new store expansion. In the fourth quarter, we opened stores in new markets like Longmont, Colorado; Tampa, Florida; Brick, New Jersey; and our very first West Coast store in the Seattle-Washington trade area. We also opened stores in our existing markets like Harrisburg, Pennsylvania; Atlanta, Georgia; and Washington DC. In fiscal 2019, we achieved our highest new store productivity in our history, which shows that our concept is getting stronger and resonating in new and existing markets where our brand awareness is increasing. In fiscal 2020, we plan to open up 32 net new stores or 18% growth, in line with our long-term algorithm. All of our fiscal 2020 sites have been identified and nearly three-quarters are already opened or under construction. We’re particularly excited to have recently opened our first stores in both the Boston area and the State of California. Our fiscal 2020 pipeline includes a few Southern California sites and we believe California has the long-term potential to become our most penetrated state with over 80 locations. With the strong and growing performance that we continue to see from our new stores, we remain confident in the health of our concept and our ability to pursue the significant white space for our brand, while staying true to the real estate model that has produced compelling returns over the past six years. We’ve consistently invested in systems and capabilities to elevate our customer’s At Home experience, while simultaneously laying the groundwork for potential test for an expanded digital strategy. We partnered with the best-in-class web platform, allowing us to create a more robust website with tens of thousands of our product images. In 2018, we improved search and filter functionality, upgraded our lifestyle photography and expanded product details. In fiscal 2019, we tested store level inventory visibility through our website and recently launched it across our entire fleet. In fiscal 2020, we plan to, once again, build upon our efforts and launch a limited test of a buy-online-pickup-in-store solution in late Q4 of this year. This disciplined test will offer customers, in select markets, a faster and more seamless way to access our in-store assortment. Our goal for the test will be to better understand our customers’ response and the associated economics for At Home. Finally, we remain committed to ensuring that At Home is a great place to work and grow as we continue to reinvest in having a comprehensive inspiring employee experience. We are firm believers that great cultures deliver great outcome. Peter Corsa, our Chief Operating Officer, has been a key contributor to the development of that culture and our success during the past six years and I’m pleased to announce Peter’s promotion to President and COO. In addition of the President title — the addition of the President title is well deserved recognition for his contribution, as well as his ongoing leadership across our executive team, operations group in our stores. We’re proud of Peter and the rest of the team we’ve built, including the seasoned executives that have joined us in fiscal 2019 and we believe we’re well positioned from a talent standpoint to deliver our next phase of growth. We look forward to making further progress on our initiatives and continue to pursue significant opportunity ahead of us. I’ll turn the call over to Peter to update you on our operational efficiency initiatives. Peter? Thank you, Lee. Good morning, everyone. Fiscal 2019 was an important year for At Home and we made strides improving the efficiency of our operations. This is critically important for a business like ours, which is predicated on delivering outstanding value to our customers. The results of our efficiency initiatives, much like our scale benefits, will be reinvested for the benefit of the customer, whether that’s in product quality, price, or store labor. Our goal is to deliver an ever improving value proposition for our customer. Direct sourcing is a key initiative with a long tail, and we’ve been disciplined in pursuing and ramping this effort. Direct sourcing was one of the drivers of our product margin expansion in fiscal 2019, generating dollars for reinvestment in marketing and store labor. We exited fiscal 2019 with the direct sourcing penetration of 10% of purchases and we expect to exit fiscal 2020 at almost 15%. Our target is to methodically increase penetration each year, with the long-term goal of directly sourcing approximately 30% of our assortment. Direct sourcing has also aided our tariff response efforts. We have effectively mitigated the impact of the 10% tariff on Chinese imports, primarily through a combination of cost reductions, strategic price increases enabled by our competitive advantage, and relocating production to other countries. We’re monitoring the trade negotiations and have developed our strategy for potential increases, but pending any formal policy changes, we continue to run our business under a 10% tariff assumption. We are pleased to have navigated the tariff related port congestion and demand surges felt by many last fall, and we successfully secured our inventory position for the first quarter. As we discussed in December, due to the congestion and the earlier Chinese New Year, we intentionally pulled inventory forward into Q4, which is reflected in our year-end inventory balance. Congestion is eased abroad, and we feel well positioned to meet customer demand for the spring and summer selling season. We expect our inventory position to normalize later in the year. Finally, I’d like to share some milestones related to our new Carlisle, Pennsylvania distribution center. We officially opened that facility at the beginning of fiscal 2020. Our automation system tests went very well, and afterwards, we are beginning processing receipts for approximately 30 existing stores. We are also leveraging the site for some of our new store accumulation needs, and I’m especially proud of our best-in-class, highly experienced teams we have in place. As expected, the team’s next priorities are to add a second shift and ramp to serving approximately a 100 stores by the end of Q1 with the end goal of splitting receipt volume evenly between our two distribution centers to maximize container efficiency. We have already leveraged the flexibility that our Carlisle DC offers in terms of utilizing multiple ports of entry for inbound product. We’re pleased that the facility is on track and we look forward to ramping operations in the coming weeks. With that, I’d like to turn the call over to our CFO, Jeff Knudson, who will walk through our fourth quarter and fiscal 2019 performance in more detail and discuss our financial outlook for fiscal 2020. Jeff? Thank you, Peter, and good morning everyone. I’ll begin my prepared remarks with a review of our fourth quarter and fiscal 2019 results and then discuss our outlook for the first quarter and fiscal year 2020. As a reminder, additional information is available in our earnings release, which is posted to our Investor Relations website. I would also encourage you to review the supplemental information we posted to the site that illustrates our results as if the new lease accounting standard had been in effect during fiscal 2019. Because we will be accounting for fiscal 2020 and future periods under the new standard, this supplemental information will enable you to consider our fiscal 2020 outlook on a comparable basis. Now onto our fourth quarter results, we delivered net sales growth of 20.6%, 2.1% comparable sales growth, marking our 20th consecutive quarter of positive comps and continued strong performance from our new stores. We ended the quarter on a strong note and we are pleased to have exceeded our top line guidance with broad based strength in both our holiday and non-seasonal categories. From a profitability standpoint, we delivered fourth quarter pro forma adjusted EPS of $0.47, above the midpoint of our outlook. Gross margin of 33.1% decreased 70 basis points from Q4 last year, due to an adjustment to inventory shrink reserves, which was worth approximately 20 basis points to our full year. Outside of this adjustment, product margin improvement offset incremental occupancy cost from sale leaseback transactions in Q4 as planned. We delevered adjusted SG&A dollars by 90 basis points to 19.6% of net sales, primarily due to pre-opening expenses related to our new distribution center, which came in lighter than initially expected as well as planned investments in marketing. We grew adjusted operating income 8.4% to $46.3 million and adjusted operating margin contracted 150 basis points to 13.1% due to the factors I just mentioned. Interest expense of $7.6 million increased due to higher interest rates and increased borrowings on our asset-based lending facility to support our growth. 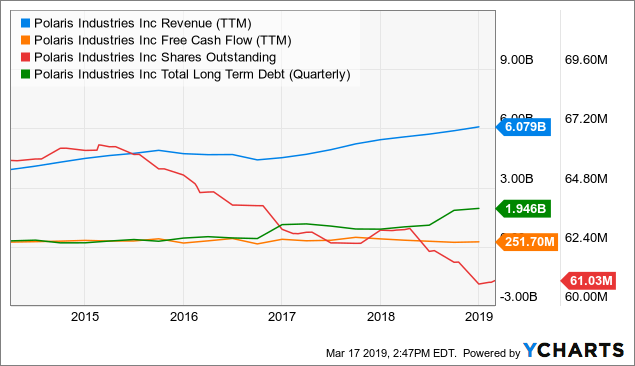 As I’ve said before, we are laser focused on having an efficient capital structure and improving our free cash flow profile as we scale the business. We continue to evaluate opportunities to ensure we have the right capital structure to meet our needs. We recognized income tax expense of $7.3 million for the fourth quarter, which includes an immaterial tax benefit from Q4 stock option exercises. Our fourth quarter adjusted tax rate was favorable to expectations at approximately 19.3%. As a reminder, our adjusted metrics exclude both the cost and the tax benefit of stock options related to our IPO. The fourth quarter capped another strong year of growth for At Home. Fiscal 2019 net sales increased 22.7% to approximately $1.2 billion, driven by nearly 21% new store growth and a 2.7% comp store sales increase, in line with our low-single-digit long-term target. Fiscal 2019, gross margin expanded 80 basis points to 33.1% as product margin expansion exceeded higher occupancy costs from sale leaseback transactions. Adjusted SG&A delevered 100 basis points to 21.9%, primarily due to strategic investments, in-store labor hours and advertising. Adjusted operating income grew 21.4% and adjusted operating margin contracted slightly to 10.7% of net sales. We recognized a nominal income tax benefit and our fiscal 2019 adjusted effective tax rate of 11.7% reflects $9.2 million of tax benefit from non-IPO related stock option exercises during the year. Overall, we delivered a 38.3% increase in pro forma adjusted EPS to $1.30. We also grew adjusted EBITDA 22.1%, and in the fiscal year with a 3 times adjusted leverage ratio. We remain committed to reducing our leverage ratio over time as we continue to scale the business. As you know, we have tremendous white space and a significant brand awareness opportunity. Therefore, we focus on annual outcomes and achieving the multi-year compound annual growth rates outlined in our long term growth algorithm, while continuously reinvesting in our long-term potential. Our fiscal 2020 investment in the second distribution center is a prime example of our focus in action. Turning to our annual outlook for fiscal 2020, which is consistent with the framework we provided at ICR Conference in January, I would like to provide more detail on a few of the factors influencing the year. First, as we shared on our earnings call in December, we are initially ramping our new DC in a very thoughtful, measured way in the first half of fiscal 2020. We believe the second DC will be a gross margin headwind of approximately 100 basis points to 110 basis points for the full year or $0.14 to $0.17 of EPS. This estimate includes the related freight benefits that will begin flowing through gross margin in late fiscal 2020 as inventory turns. We will call out the expected and incurred DC headwind, when we report quarterly results. Once fully ramped, we expect the second DC to generate meaningful transportation efficiencies over time. Second, as we outlined in January, we expect the new lease accounting standard to have a $15 million to $16 million impact to adjusted operating income in fiscal 2020. The supplemental slides we have available on our Investor Relations website illustrate how the standard would have impacted fiscal 2019 by approximately $14 million, if it had been effective this past year. Our outlook discussion on this call assumes a comparable lease-adjusted basis in fiscal year 2019 and 2020. While the standard will reduce our reported earnings, both the underlying cash flows of the business and our analysis of real estate opportunities on a discounted cash flow basis remain unchanged. And thirdly, in line with our reinvestment philosophy, we will continue to lean into marketing this year, given the positive results we’ve seen so far and the significant opportunity to drive brand awareness. We funded this investment through our existing model. And while we intend to delever marketing this year, on a lease-adjusted basis, we expect fiscal 2020 adjusted operating margins to be roughly flat, excluding the impact of the second DC. In terms of our topline outlook, we expect net sales to grow 19% to 21% to a range of $1.39 billion to $1.41 billion, including a full-year comp store sales increase of low-single-digits, both in line with our long-term growth targets. Given the nationwide potential to more than triple our footprint, new stores continue to be the primary driver of our sales growth. On the heels of the most productive new store class in our history, we plan to open our largest new store class to-date. We expect to open 36 gross and 32 net new stores, representing 18% growth, again in line with our long-term targets. We plan to relocate two stores and closed two stores to elevate our brand position in those markets. As our fiscal 2020 site opportunities have solidified, we now expect a mix of approximately 15% new builds and 85% second-generation locations, including a handful of purchases. These opportunities combined with the out-performance of our new stores give us great confidence in our fiscal 2020 pipeline and our longer term potential for over 600 stores. On a lease-adjusted basis, we expect adjusted operating margin contraction of 80 basis points to 100 basis points, driven entirely by 90 basis points to 100 basis points of DC investment. We expect to fund the remaining strategic priorities Lee discussed through the leverage inherent in our model, which has enabled us to reinvest every year in areas like brand awareness and marketing, employee wages and benefits, store labor hours and direct sourcing. We expect to incur $215 million to $235 million of net capital expenditures in fiscal 2020, including approximately $70 million of sale leaseback proceeds. Our outlook represents a $55 million to $75 million reduction of gross CapEx year-over-year, even as we increase store openings. As Lee mentioned, we are prioritizing efforts to improve our free cash flow profile. Our fiscal 2020 capital plan incorporates modest improvement associated with these efforts, but there remain significant opportunity to further reduce our capital spend over the next several years. We will continue to update you on our progress as we move through the year. We are currently assuming $31 million of interest expense and an effective tax rate of approximately 23% before considering the tax impact of certain stock-based compensation events, culminating in $67.5 million to $71 million of pro forma adjusted net income. Based on approximately 66 million diluted weighted average shares outstanding, we expect pro forma adjusted EPS of $1.02 to $1.08. Within the year, several factors will cause a shift in the contribution of earnings by quarter. Due to the cadence of the DC ramp and the timing of pre-opening expense, as we open new stores earlier, combined with the impact of lapping significant tax benefits from stock option exercises in the first three quarters of fiscal 2019, we do not expect to generate adjusted EPS growth until the fourth quarter of fiscal 2020. We expect to generate more than half of our full year adjusted EPS in Q4. As it relates to the first quarter, you have already heard from several retailers that prolonged winter weather caused a soft start to fiscal Q1. In the first part of the quarter, our entire footprint experienced colder average temperatures year-over-year. Markets that were less impacted by weather performed significantly better than the more weather affected counterparts. As temperatures in those markets have stabilized, we are seeing demand rebound. We also believe the late Easter, which typically signals the start of spring to our customer, delays our seasonal performance. While we have seen these trends recover as weather has improved, we expect our first quarter comp sales will be flat to slightly positive. As I mentioned earlier, we continue to expect a low-single-digit annual comp store sales increase in line with the framework we shared in January and our long-term growth algorithm. We expect net sales to be $300 million to $305 million. Our new stores continue to outperform, and we plan to open 11 Q1 stores versus seven last year. From a profit standpoint, there are several factors impacting our adjusted operating margin decline of 540 basis points to 560 basis points on a lease-adjusted basis. First, we expect the gross margin headwind from the second DC to be the most impactful during Q1 at 150 basis points. In Q2 and Q3, we expect the headwind to be slightly lower with the Q4 adjusted operating headwind moderating further as we cycle the fiscal 2019 preopening costs and SG&A and begin recognizing transportation efficiencies late in the year. In addition, we are opening new stores earlier year-over-year and therefore expect the timing of pre-opening expenses to delever approximately 70 basis points in Q1. We expect that headwind to reverse in the fourth quarter when substantially all of our fiscal 2020 pipeline is open. Third, as Lee discussed, we are intentionally leaning into marketing again this year. While we expect to delever this line item every quarter, it will be heaviest in Q1 at approximately 70 basis points. Similarly, occupancy deleverage primarily related to sale leaseback transactions in fiscal years ’19 and ’20 has a significant impact on gross margin in Q1 that will moderate through the year. And finally, the timing of non-product cost in gross margin will also be a significant headwind in Q1 that is expected to entirely reverse in the Second through fourth quarters. All-in, we expect pro forma adjusted net income of $2 million to $3 million. And assuming 66 million shares outstanding, our first quarter pro forma adjusted EPS outlook is $0.03 to $0.04. In closing, we are pleased to have delivered a strong fiscal 2019 with substantial adjusted earnings growth. We are building on this progress and further strengthening our foundation for future growth through the investment agenda we outlined for fiscal 2020. We look forward to executing on this year’s strategic initiatives and ultimately on our long-term growth potential. I’ll now turn the call back to Lee for his final remarks. Thank you, Jeff. In summary, fiscal 2019 marked another year of strong growth and operational progress for At Home. There remains tremendous opportunity as we execute against our long-term potential of over 600 stores. We expect fiscal 2020 to be another strong year from a top line perspective, in line with our long-term growth targets. To achieve our plans, we will grow our store base by 18% and enter the important California market. We will continue to make strides on the merchandising front, by refining our assortment, improving core processes, and deploying exciting category reinvention. We will lean into marketing and increase our media spend to drive traffic and capitalize on the awareness opportunity that we have. We remain disciplined with our capital allocation, as we work to significantly improve our free cash flow position and become free cash flow neutral next year. We will test buy-online-pickup-in-store in Q4 with the goal of understanding both the economics of our customer — the economics and our customer response. And finally, we will ramp our new East Coast DC, positioning us to generate freight efficiencies in fiscal ’21 and beyond. As the management team, we are tightly aligned against delivering on these priorities. Our disciplined investments in the business ensure our long-term success as we continue to strengthen the At Home value proposition. We continue to pursue the long-term targets we laid out at the time of the IPO, which call for low-single-digit comps, high-teen sale growth, and approximately 20% operating income growth and approximately 25% net income growth. We feel confident in our pipeline of stores, our merchandising plans, and our growing marketing effectiveness and the strides we’re making to deliver an even better customer experience. With that, I’d like to turn you over to our operator, Melissa, who will open up the line for questions, operator? Thank you. At this time, we’ll be conducting a question-and-answer session. (Operator Instructions) To allow for as many questions as possible this morning, we request that you please ask one question and one follow-up each. Thank you. Our first question comes from the line of Matt McClintock with Barclays. Please proceed with your question. Hi, yes, good morning, everyone. And congrats, Peter. So Lee, I just wanted to dig into the investments in marketing that you plan to make this year, I believe — I believe you said that you’re going to increase your media and direct mail spend by 50%. How should we think about that in terms — or the total spend in marketing this year relative to prior years in terms of — as a percentage of total sales? And can you remind us the payback that you have historically seen from your increases in marketing dollars over the past several years, because if I recall, you didn’t spend any money on marketing just like four or five years ago? Thanks. I heard an interesting take on investing the other day. It went along the lines of “never buy [a stock] after a new high, and never sell after it plunges.” This advice sounds innocent enough, but it’s terribly wrong. In fact, I’d argue — and there’s a plethora of studies to support this — that if investors did the exact opposite of this — buy when a stock is making new highs and sell after it tanks — they would achieve far better results in their portfolio. But here’s the thing… usually, you’re not going to convince the average investor to buy a stock after it hits a new 52-week high. They’d likely try to convince you to sell and book your profits. That’s because this notion of buying a stock at new highs goes against nearly every fiber in our body. It’s been ingrained in our psyche that we need to “buy low and sell high.” Investing, however, isn’t that simple. Executive Dividends are one of Wall Street’s best-kept secrets, paying out a small fortune in unannounced cash seemingly at random–and today, Nathan Slaughter shows you where to find them. For most, buying a stock at a 52-week high is like standing in the middle of a jungle, machete in hand, and you are now required to pave a new path. It can be scary because you’re not sure if the path you’re about to pave is the correct one, or if it’s headed toward a cliff, or if you’ll end up in the promised land. It’s much easier to “see” the path from the 52-week low, because you believe that path is headed back toward the 52-week high. But that’s not always the case, and if does happen it could be a tough, long, windy trail back to the top. Let me show you what I mean with a personal trade back when I was more of “buy-and-hold” investor. I bought shares when they were trading about 35% off their recent 52-week high. Six months later they were in a slide. I was down 17%. Then the shares clawed their way back above my purchase price. As I was reflecting on the path back toward that 52-week high… shares tumbled more than 26%. But never sell after a stock tumbles, right? Wrong. Had I been using the Maximum Profit system, I would have cut my losses and moved on… but I wasn’t, and I didn’t. At one point, I was down 90%. That means in order to just get back to my original investment, I needed to book a gain of 1,000%. That’s no easy task. My publisher doesn’t want me to share stories like this. In fact, when I’ve talked about how I didn’t follow my own rules and lost money in the past… well, let’s just say that he wasn’t too happy. And guess what… I bought because it had great momentum and I’m up more than 12% in two days. But enough of that. I would rather tell you about my failures so you can learn from them. So you don’t make the same mistakes that I did. I want you to make money. I want you to be successful at trading. And in order to do that, you also must understand that you’re going to make mistakes. Not every investment will be a winner. That’s okay… as long as you don’t let it turn into a giant loser. Cutting a loser short is a victory — a victory against a larger loss. Long-time Maximum Profit readers know that I talk a tremendous amount about risk and risk management. That’s because if you blow up your account, you won’t have the opportunity to take advantage of the next trade. As the saying goes, live to fight another day. In the next five years, the renewable energy sector will grow by an astounding 20%. 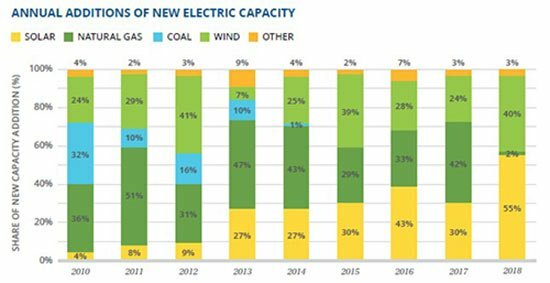 Electricity generation will enjoy the fastest growth, where nearly 30% of power demand will be met by renewable energy. In fact, by 2023, fully 70% of the growth in worldwide electricity generation will come from renewables. As technologies improve – and costs come down through scale – clean, green energy will become more and more economically viable. That means green energy stocks are in for a pump. Today, I’ll show you exactly what’s fueling the renewable energy movement. The United States has undergone a remarkable change in the makeup of its electricity generation. Below we have a look at that progress, according to the U.S. Energy Information Administration. The first graph tells us that petroleum has diminished, and coal dramatically so. Meanwhile, nuclear has remained a more constant source, while renewables and natural gas have clearly gained. 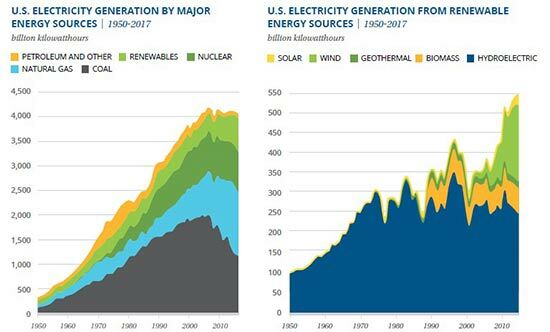 The next graph shows us that, since the early 2000s, wind and solar have both surged as U.S. electricity sources from renewables. As you can see, coal has gone almost completely out the window, with a small sliver of natural gas being added to U.S. electric capacity annually. What’s driving this growth? In an effort to meet renewable energy goals, large corporate electricity consumers seek low-cost renewable energy while hedging costs by implementing long-term power purchase agreements. This is a mega-trend that’s picking up pace as consumers continue to demand environmentally conscious management from industry. So here are my three favorite picks to participate in the massive built-in upside for renewable power providers. Best Renewable Energy Stocks, No. 3: Hannon Armstrong Sustainable Infrastructure Capital Inc.
Based in Annapolis, Md., Hannon Armstrong Sustainable Infrastructure Capital Inc. (NYSE: HASI) invests in energy efficiency, renewable energy, and other sustainable infrastructure markets. Hannon Armstrong’s assets typically fall into one of three classes. “Behind the meter” includes energy efficiency, distributed solar, and energy storage projects. “Grid-connected” refers to wind and solar projects connected to the electrical grid. And “sustainable infrastructure” includes projects involved in stormwater remediation, transmission and communications, and water. The company has met its targets and experienced stable growth under its current management. Annual core earnings per share grew by 9% in 2018 to $1.38 per share, exceeding the targeted 2% to 6% annual core earnings-per-share growth. This allowed for a 2% increase in its dividend, which currently provides an attractive 5.2% yield. Hannon fires on all cylinders, having close to $1.2 billion in transactions in 2018, while providing for 11.1% return on equity, up from 9.3% in 2014. Current assets top $5.3 billion, with target markets expanding to further the company’s revenue potential. 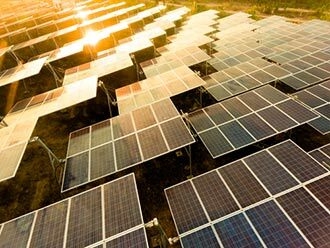 The renewable energy sector is on fire, and Hannon’s success comes from its ability to meet the demands of the growing trend. 2018 investments alone will contribute to half a billion metric tons of CO2 reduction. This next pick is the reliable must-own of the three, a much larger-cap stock with a sweet dividend. Best Renewable Energy Stocks, No. 2: NextEra Energy Inc.
NextEra Energy Inc. (NYSE: NEE) is a clean energy power provider based in Juno Beach, Fla. NEE has deep roots, providing power to consumers for nearly a century. NextEra owns Florida Power & Light Co., serving over 5 million customer accounts, as well as Gulf Power Co., serving over 460,000 customers in more than eight northwestern Florida counties. Beyond these, NextEra also owns NextEra Energy Resources LLC, which, with its affiliated entities, is the world’s largest generator of renewable energy from the wind and sun. It also produces clean, emissions-free electricity from eight nuclear power plants in Florida, New Hampshire, Iowa, and Wisconsin. NEE boasts numerous acclamations in sustainability, corporate responsibility, ethics and compliance, and diversity. At almost $92 billion in market cap, NextEra generates about 50 gigawatts and has over $100 billion in total assets. Adjusted earnings per share has grown by about 8.6% compounded annually since 2005, while dividends have grown by 9.2% compounded annually. With its current payout ratio of 32%, the company still generates a 2.58% yield for shareholders. NextEra makes for a great cornerstone in any portfolio. Plus, it boasts a VQScore of 3.45, making it a great renewable energy stock to buy now. But if you’re looking to profit bigger and sooner, our next stock has a perfect VQScore, and analysts project the share price could surge nearly 70% higher. Peter Krauth is the Resource Specialist for Money Map Press and has contributed some of the most popular and highly regarded investing articles on Money Morning. Peter is headquartered in resource-rich Canada, but he travels around the world to dig up the very best profit opportunity, whether it’s in gold, silver, oil, coal, or even potash. On Monday, Morgan Stanley (NYSE:MS) announced it was purchasing Canadian stock plan administrator Solium Capital for $900 million, and let’s be honest: Before this week, odds are you’d never heard of the target company before. Also that day, Restaurant Brands International (NYSE:QSR) reported quarterly earnings, and in that case, most people are far better acquainted with its chains: Burger King, Tim Horton’s and Popeyes. In this Market Foolery podcast, senior analyst Abi Malin and host Chris Hill reflect on the upsides of the acquisition, the complexities of the fast-food business, and more as they offer investors some insights into what the day’s news might mean to them. They also answer a listener’s question on the subject of price-to-earnings ratios: How do you think about a divergence between the trailing P/E and the forward, and which is the better way to measure a stock’s value? Intrepid Potash (NYSE:IPI)’s share price was down 5.8% on Tuesday following insider selling activity. The stock traded as low as $4.00 and last traded at $4.05. Approximately 1,663,655 shares changed hands during trading, an increase of 53% from the average daily volume of 1,087,289 shares. The stock had previously closed at $4.30. Intrepid Potash, Inc. (NYSE:IPI) insider Robert P. Jornayvaz III purchased 6,900 shares of the firm’s stock in a transaction that occurred on Monday, August 13th. The stock was bought at an average cost of $3.36 per share, for a total transaction of $23,184.00. Following the completion of the purchase, the insider now directly owns 1,206,650 shares in the company, valued at approximately $4,054,344. The acquisition was disclosed in a filing with the SEC, which can be accessed through the SEC website. YPF (NYSE:YPF) and HollyFrontier (NYSE:HFC) are both oils/energy companies, but which is the better investment? We will compare the two businesses based on the strength of their earnings, institutional ownership, profitability, analyst recommendations, risk, valuation and dividends. YPF (NYSE:YPF) had its target price decreased by equities researchers at Bank of America from $26.00 to $22.00 in a report issued on Friday, Stock Target Advisor reports. The firm presently has a “buy” rating on the oil and gas exploration company’s stock. Bank of America’s price target would indicate a potential upside of 47.65% from the company’s current price. Laurion Capital Management LP bought a new stake in Regions Financial Corp (NYSE:RF) during the second quarter, according to the company in its most recent disclosure with the Securities and Exchange Commission (SEC). The fund bought 494,861 shares of the bank’s stock, valued at approximately $8,799,000. ValuEngine upgraded shares of Regions Financial (NYSE:RF) from a hold rating to a buy rating in a report released on Wednesday. A number of other analysts also recently commented on RF. Keefe, Bruyette & Woods reiterated a neutral rating on shares of Regions Financial in a report on Sunday, April 22nd. B. Riley increased their price objective on shares of Regions Financial from $19.00 to $20.00 and gave the company a neutral rating in a report on Tuesday, April 24th. Three analysts have rated the stock with a sell rating, fourteen have assigned a hold rating, five have issued a buy rating and two have given a strong buy rating to the company. Regions Financial has a consensus rating of Hold and an average price target of $17.56. Regions Financial (NYSE:RF) is scheduled to be issuing its quarterly earnings data before the market opens on Friday, July 20th. Analysts expect the company to announce earnings of $0.33 per share for the quarter. This entry was posted in Best Stocks and tagged FIBK, IPI, RF, YPF on April 2, 2019 by admin.